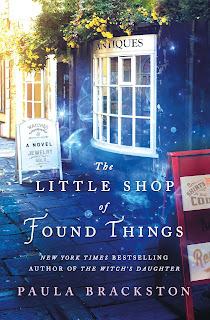 Once upon a time, I claimed I would never read another book involving time travel, but Paula Brackston's The Little Shop of Found Things has changed my mind. This book first caught my attention because it is focused on an object called a chatelaine. When I was in high school, I was a member of a dance/drill team called The Chatelaines. A really silly reason to be drawn to a book, but I am so glad that this little detail found me! The Little Shop of Found Things is set in England modern times and the 17th century. In the novel, readers are introduced to Xanthe and her mother who have recently moved and opened an antique shop in a historic town. Readers also quickly learn that the main character, Xanthe, has a unique gift where she can "read" objects - she can hear the stories of those who used objects in the past. Perfect gift for someone who spends her life living amongst antiques. Xanthe is instantly drawn to a 17th-century chatelaine; however, what she doesn't know when they purchase the item is that it is also tied to ghost fighting to save the life of her daughter in the past. A time portal is located in Xanthe's backyard and the ghost forces her to go back in time to prove her daughter's innocence - or else. Okay - I know this sounds a little hooky. But, I promise, it is such an enjoyable escapist read. You can trust me! I am not big on time travel and seldom read anything with ghosts! Brackston lets the story unfold slowly. This is not a page-turner. However, the way she describes even the smallest details allows readers to also be transported back in time. And, I desperately needed an escape this month. And, I can't go without letting you know that the novel does have a bit of romance - time travel romance. But, don't expect Outlander. This is tamer. 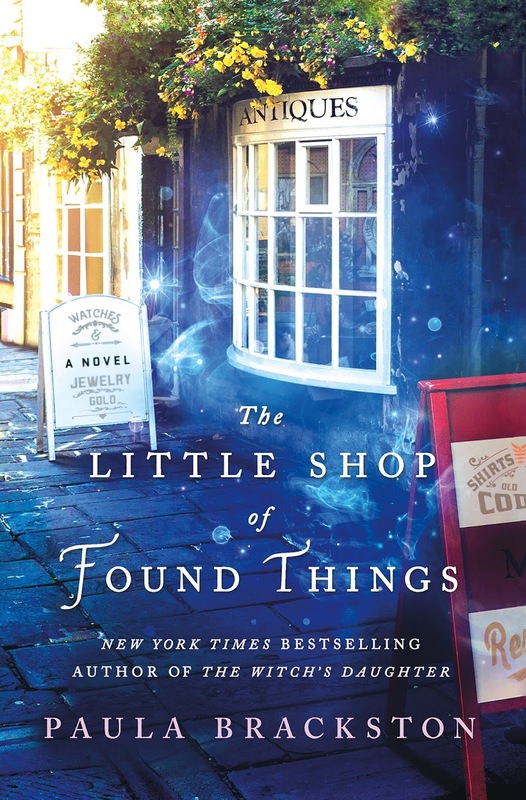 The Little Shop of Found Things is the first in what is going to be a series, and the author already has me looking forward to the next novel. Thanks to the author and Netgalley for providing me with this review copy. You can pre-order your copy now - or buy it when it is released on October 16, 2018.